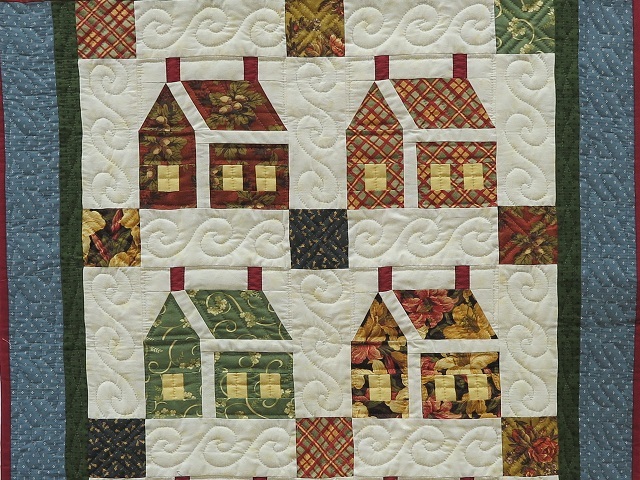 A great pattern that we haven't made in years! Excellent fabric selections. 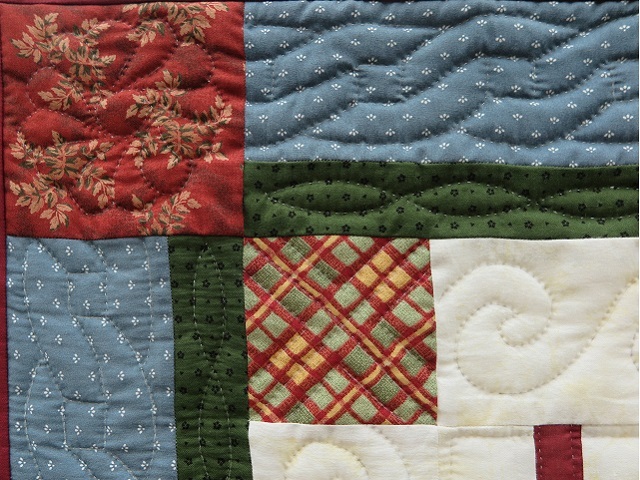 Very fine hand quilting. 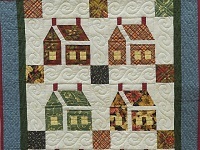 Well made by an Amish woman from Lancaster County, Pennsylvania. Includes a sleeve for a hanging rod. 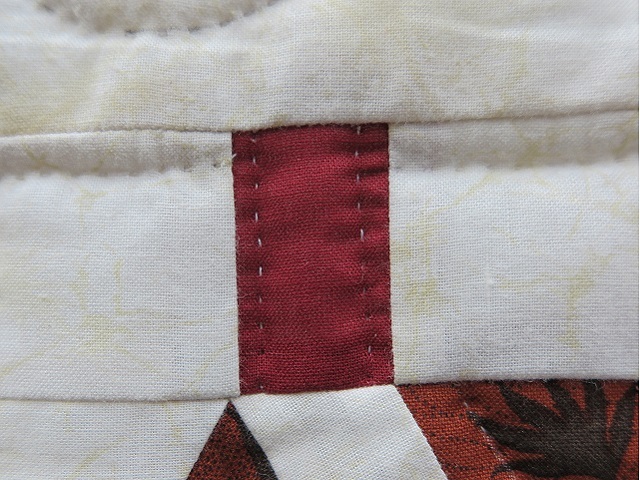 The back of the quilt is covered with a solid ivory colored fabric. 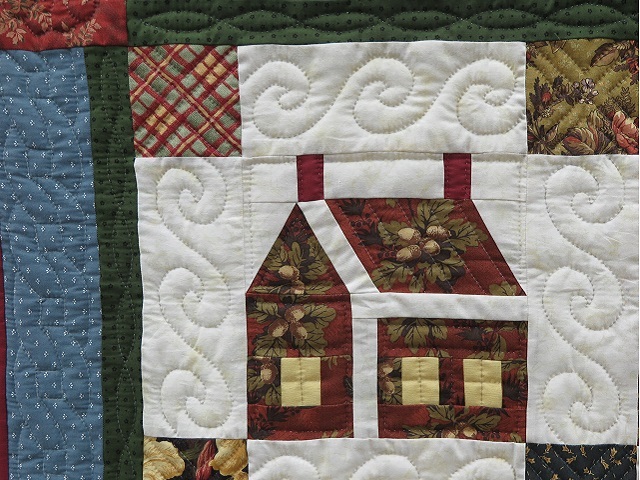 Connie Lapp wants you to be completely satisfied with this quilt. 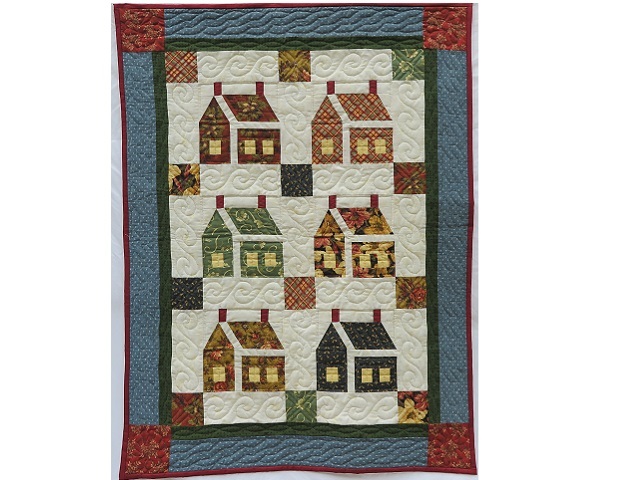 If, for any reason, you are not satisfied, this quilt may be returned to Connie for exchange or credit within 10 days after you receive it provided only that you return it in its original condition. Once received and its condition confirmed, the refund will be processed. Please note that, unless it was received damaged or defective, shipping costs are not refund-able.